Quantum Pilates is now offering TRX Suspension Training classes! Take your fitness goals to the next level using leveraged body-weight exercises to get an intense, full-body workout in a short amount of time. Designed by Navy Seals, the TRX Suspension Trainers have helped everyone from weekend warriors to professional athletes increase their strength, stamina, balance and flexibility. The TRX suspension system provides an additional challenge to your practice, since it requires you to apply the principles of Pilates in a new environment; one that adds a different dimension and a vertical plane. 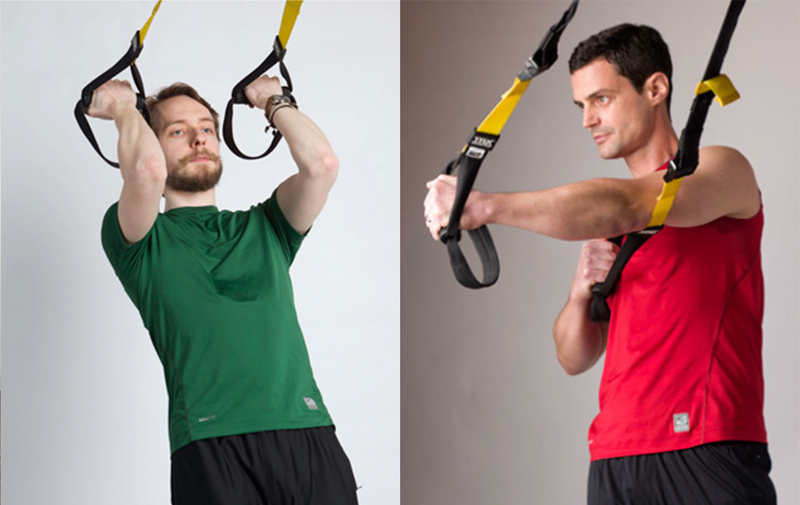 TRX is perfect for the more advanced student looking for an aerobically demanding workout. Our 40 minute classes are limited to 6 people and filling up fast so sign up today (you can pay for TRX classes using your Quantum Pilates mat class 10-pack).